It's hard not to feel like a million bucks when you're wearing a clean suit. However, sometimes tragedy can strike in the form of a stain or filth while you're out on the town, tying the knot, or pitching a new client. 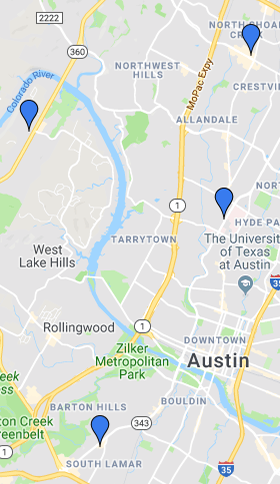 If you find yourself frantically searching for "suit dry cleaning near me" or "suit cleaners near me in Austin", don't fret any longer! Whether you're sporting a 2 piece suit, a 3 piece suit, or a tuxedo, EcoClean has you covered. Don't stress! We're here to help you dress to impress! We treat your suits like we would our own fine pieces of clothing! Whether you need to dry clean a linen suit or de-stain a vest, EcoClean is a safe option for your suit dry cleaning. We understand that suits and tuxedos are expensive as well as highly customized for each wearer's body, and, therefore, hard to replace. That is why EcoClean utilizes a safe cleaning process that uses gentle detergents and drying techniques to keep your suit as sharp and stylish as the day it was first purchased. We'll even have your dry clean new suit back to you in a jiffy if you request 24 hour rushed service. Don't worry. Rush service is free! Although we spare no expense on our state of the art equipment, you can get your suit safely cleaned at EcoClean for an affordable price with free pick-up and delivery too! EcoClean even offers express cleaning services if you need your suit swiftly, and we can be your Sunday service suit cleaners at select locations! With our mobile app and text notifications, getting your cleaning done has never been easier. You can easily request a pick-up, check the status of your order, pay your bill, and adjust your preferences right from your smartphone or tablet. Available now on iTunes and Google Play. Download it today! We offer FREE pick-up and delivery throughout the Austin metro area. Schedule a pick-up thru our app, by calling, by text or by email. We can pick-up and deliver to your home or office or anywhere in between. You can even drop off at one of our 3 Austin area locations and have your items delivered. EcoClean has won Best Dry Cleaner in the Austin Chronicle’s “Best of Austin” annual awards six times in the last decade (2016, 2015, 2013, 2012, 2009 & 2006).